The RCD of Greater San Diego County, in partnership with the County of San Diego, manages the largest community garden in San Diego County. The Tijuana River Valley Community Garden is located at the corner of Hollister Street and Sunset Avenue, in the southernmost portion of San Diego, within the Tijuana River Valley Regional Park. The garden contains 210 garden plots, seven quarter-acre plots for education and demonstration, a native pollinator hedgerow, and a diversity of wildlife. It is open to the public from dawn to dusk and is surrounded by walking trails. 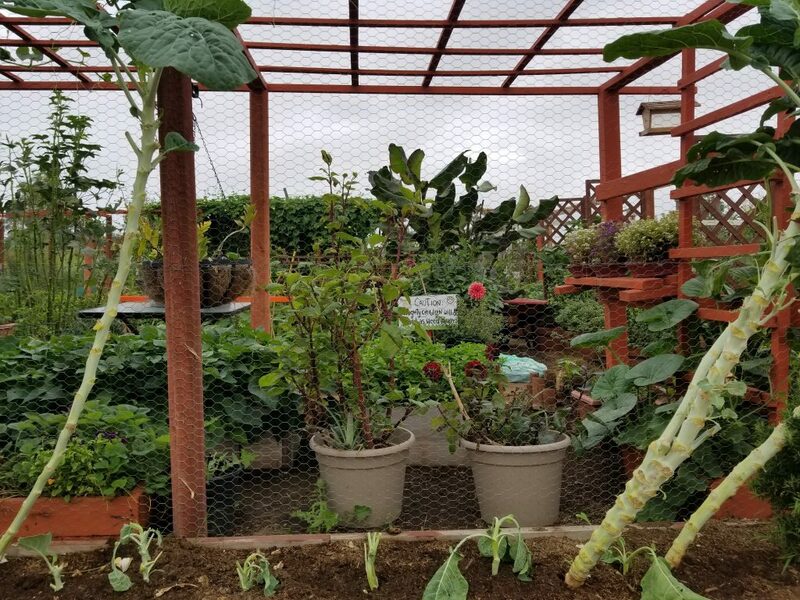 Check out this bird’s eye view of the Tijuana River Valley Community Garden! A community garden fosters many wonderful things, such as increased consumption of fruits and vegetables to combat malnutrition and obesity. Gardeners have also commented on the therapeutic benefits of caring for their plants and experiencing the reward of their time and effort. Members of the community garden come from all walks of life. On any given day, you can hear three or four different languages being spoken. This diversity manifests itself in the crops that grow in the garden plots – nopales, bitter melon, heirloom tomatoes, etc. Young and old help each other, trading gardening advice, time, and the fruits of their labor – literally! Many gardeners are apartment dwellers who relish the opportunity to get out into the fresh air and work the land. 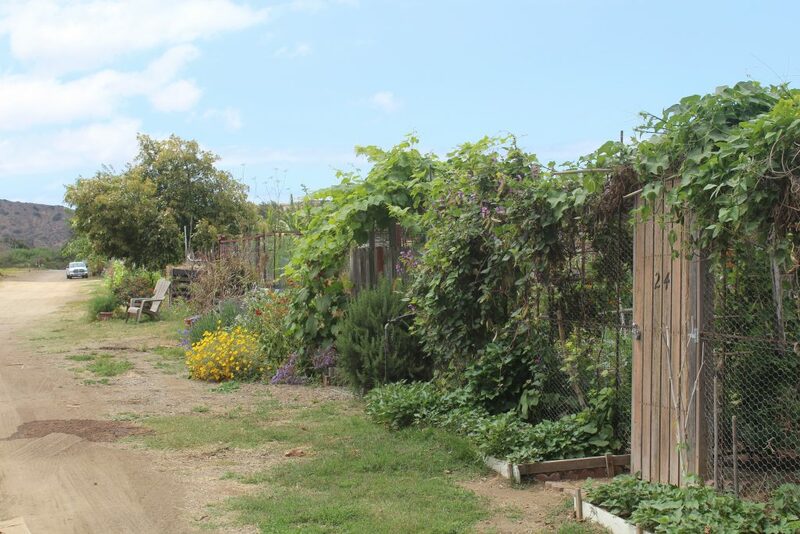 Rent a garden plot: The community garden recently expanded and now contains 210 garden plots measuring 30’x30′. If you live in the South Bay area and are interested in growing your own food, please click here to join the waiting list or call our office for more information. Quarter acre plots: Six 1/4 acre plots are available to support new farmers in San Diego County. Click here if you are interested in applying for a plot. The application period will remain open until all plots are rented. Carbon Farming Demonstration plot: The RCD is transforming one of the ¼ acre plots into an educational plot to demonstrate farming practices that sequester carbon in the soil, improve soil moisture, and build soil fertility. Click here for more information. Volunteering opportunities: is your school / church / scout / company / community groups who are looking for a volunteering project to participate in? We can always use a few extra hands on projects around the garden. Please get in touch for more information! Garden events and clean-up days: we periodically hold events at the garden, including workshops, clean-up days, and an annual Soil Shindig – a day of celebrating healthy soil through talks, workshops, info booths, good food, and more. Please check the calendar for upcoming events. Visit! The garden is open to the public every day of the week from dawn to dusk. Visitors are welcome to walk the garden pathways, but please do not enter individual plots or pick produce without permission. 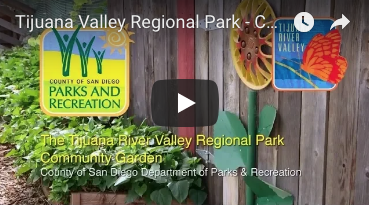 More information about the Tijuana River Valley Regional Park. across the county. Their website includes has a map of all the community gardens in San Diego. also home to a Bird and Butterfly Garden, over 20 miles of hiking trails, sports fields, and more! 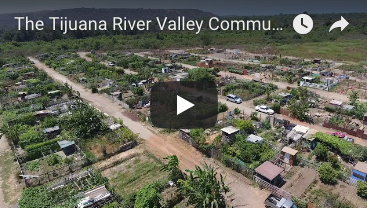 This beautiful video produced by the San Diego County Department of Parks and Recreation highlights the Tijuana River Valley Community Garden and the diverse and passionate gardeners who enjoy all it has to offer.